Design Birthday cards by your own using our easy to use Birthday Cards Designing Software. Birthday Card Design Program is capable to design and generate photo added happy birthday cards. Software provides an option to add your birthday wishes, birthday greeting card sayings while designing your favorable birthday cards. Design invitation card and invite your friends, relatives and other people by sending these invitation card via inbuilt mail settings with birthday card making program. 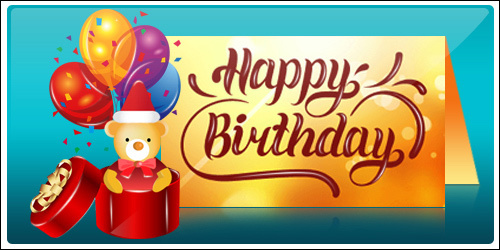 Birthday Card Designing Software allows you to design and send invitation cards via email by using inbuilt mail settings. Software provides option to print designed birthday cards with flexible print settings. Provides facility to add barcode, watermark, images etc on birthday cards. Software has option to save designed birthday card log (in .idd file format) on PC for future reference. Design birthday cards using image designing tools including Line, Ellipse, Pencil, Rectangle, Text, Picture, Arc, Triangle and Star objects. 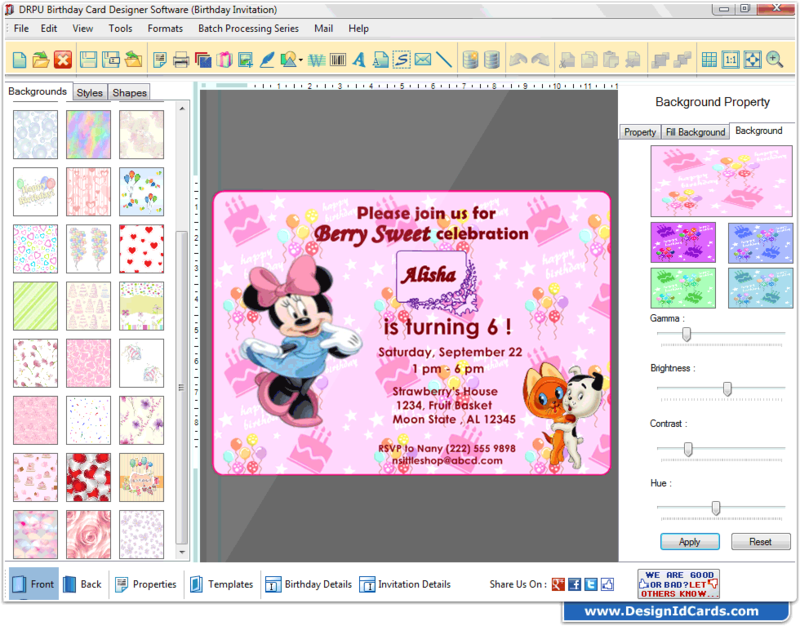 Software provides multiple numbers of birthday templates or predesigned layouts to design and print birthday cards. Facility to add pre-defined birthday wishes from message template as provided with the software.